Abstract: The Orava Basin is an intramontane depression filled with presumably fine-grained sediments deposited in river, floodplain, swamp and lake settings. 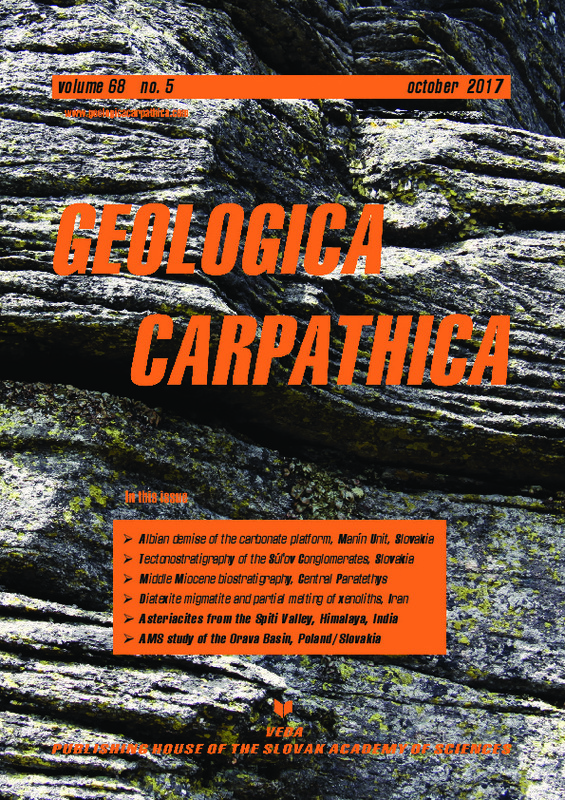 The basin infilling constitutes a crucial record of the neoalpine evolution of the Inner/Outer Carpathian boundary area since the Neogene, when the Jurassic–Paleogene basement became consolidated, uplifted and eroded. The combination of sedimentological and structural studies with anisotropy of magnetic susceptibility (AMS) measurements provided an effective tool for recognition of terrestrial environments and deformations of the basin infilling. The lithofacies-oriented sampling and statistical approach to the large dataset of AMS specimens were utilized to define 12 AMS facies based on anisotropy degree (P) and shape (T). The AMS facies allowed a distinction of sedimentary facies ambiguous for classical methods, especially floodplain and lacustrine sediments, as well as revealing their various vulnerabilities to tectonic modification of AMS. A spatial analysis of facies showed that tuffites along with lacustrine and swamp deposits were generally restricted to marginal and southern parts of the basin. Significant deformations were noticed at basin margins and within two intrabasinal tectonic zones, which indicated the tectonic activity of the Pieniny Klippen Belt after the Middle Miocene. The large southern area of the basin recorded consistent N-NE trending compression during basin inversion. This regional tectonic rearrangement resulted in a partial removal of the southernmost basin deposits and shaped the basin’s present-day extent.